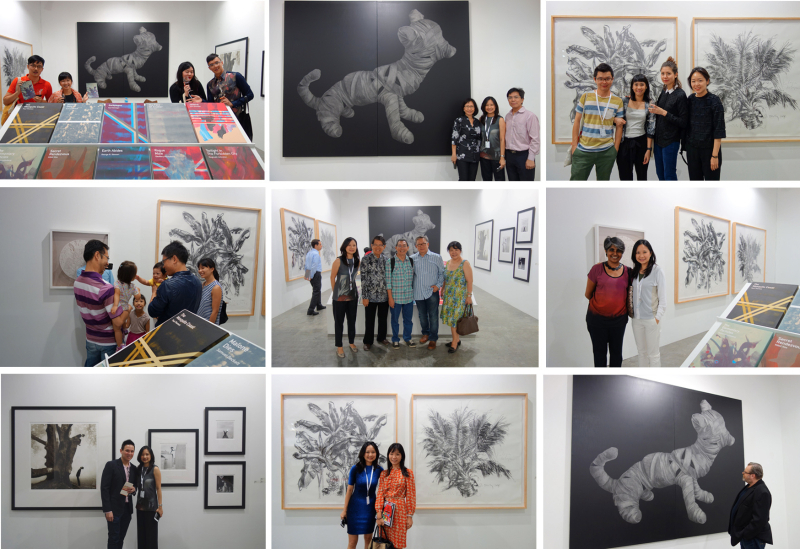 We appreciate your continued support; thank you for visiting us at Art Stage Singapore 2015. We look forward to seeing you in the gallery soon! 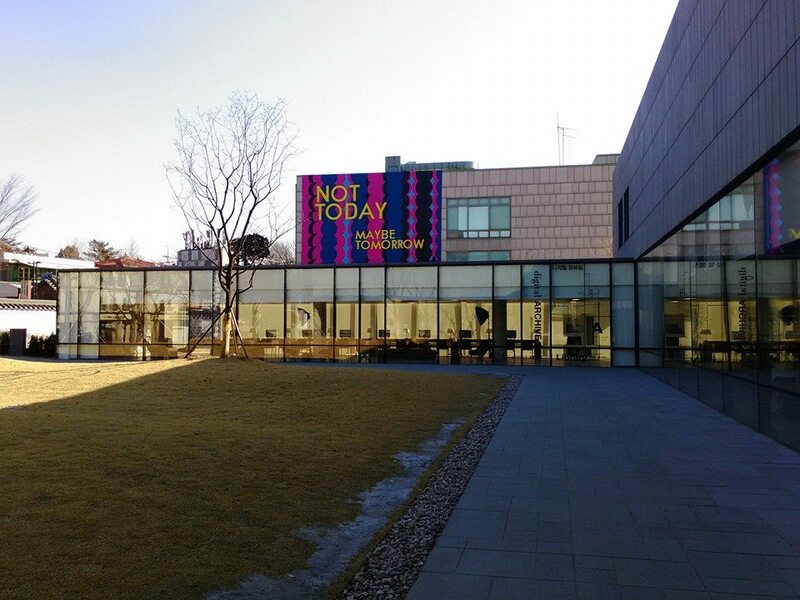 Heman CHONG, Not Today, Maybe Tomorrow, 2015, Digital print on cloth, 7.5 x 11 m.
Heman Chong will be presenting a solo show at Art Sonje in Seoul, Korea. 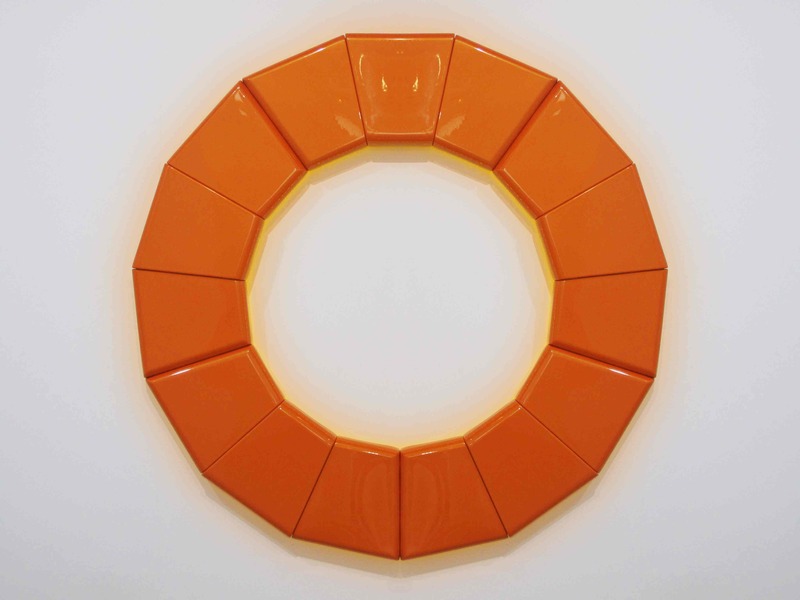 Join him and Sunjung Kim for their artist and curator talk on 05 February 2015 at 4pm. More information available here. Jitish Kallat, Aarti Lohia, Sookoon Ang and Amit Lohia at the press meeting. Photo by Adrian Thoo. Sookoon Ang has been selected as the first recipient of The Lohia Mentorship Series. 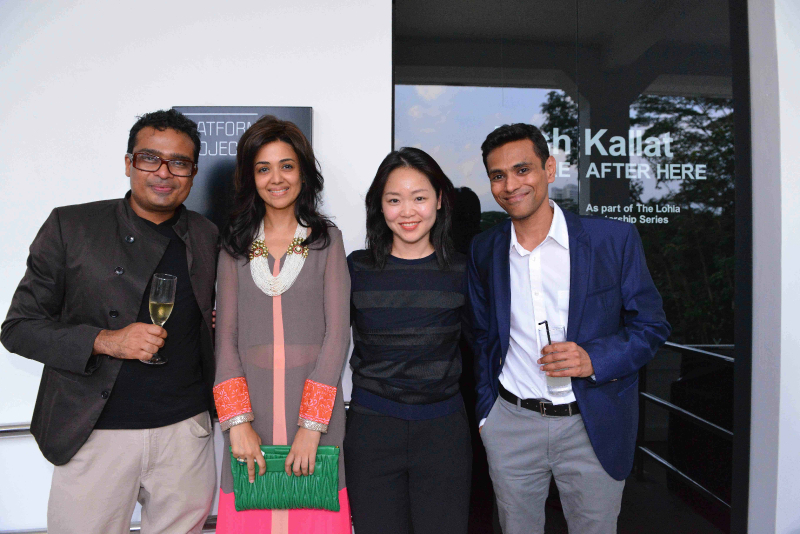 This series pairs international artist Jitish Killat, with the mid-career Singaporean artist to create a public work which will be featured in Gillman Barracks in September. To find out more, please visit Platform Projects' website here. 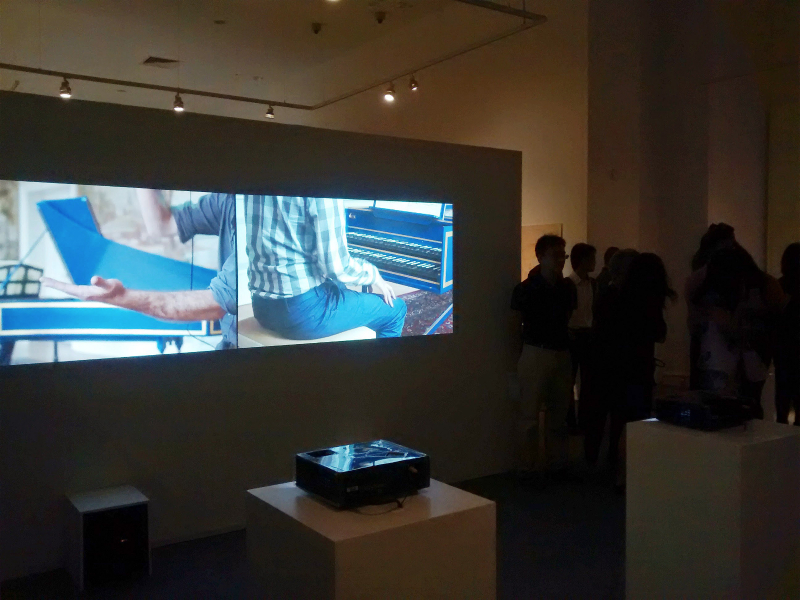 Song-Ming ANG, Backwards Bach, 2013, 2-channel video (5:20), Edition of 3 + 1 AP. Curating Lab 2014's exhibition in the NUS Museum will be open till Sunday. Artworks by Song-Ming Ang and Chun Kaifeng are being shown in the gallery. More information can be found at the event page here. CHUN Kaifeng, Nothing To Wait For, 2013, LED lighting, automotive paint and clear coat on vacuum formed high-impact acrylic, Ø144 x D9 cm. 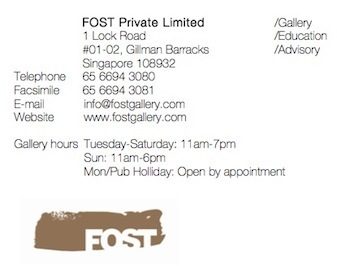 FOST Gallery wishes all a very Happy Chinese New Year! Please note that the gallery will be closed on 19 and 20 February. We reopen on 21 February 2015. Should you need to reach us urgently during this time, please call 6694 3080.